Are you a make up artist? If so, insure your business here today. If you are a make up artist and have your own business, it is advisable to compare insurance policies, not only to find a great price but also so you have a policy which suits your needs as a business. We can help you find the insurance deal to suit you as a business owner through the panel of specialist insurers we work alongside. Buildings Insurance: Should you have a premise where you run your business and see clients, this insurance covers the structure of the property against a variety of risks, including flood, fire and storm. Buildings Insurance gives you peace of mind that, if your property is damaged, the repair or rebuild costs are covered. Contents Insurance: covers the items you own on your premises, such as carpets, furniture and electrical products. Public and Employers Liability Insurance: covers you if you are found liable for injury to an employee or member of the public. Treatment Risk Insurance: As you will be carrying out treatments on customers, it may be wise to get cover against any risk that could potentially arise from these treatments, such as reactions or injuries as a result of your make up. Stock cover: Should any of your stock or contents get damaged, it could be an expensive task to replace all the items. This cover would insure you against the financial damage of problems associated with contents and stock. You are also able to purchase cover for goods in transit. 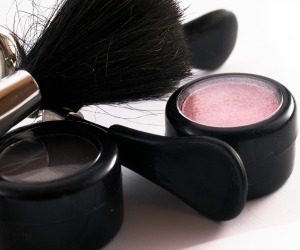 This may be particularly important if you own a lot of make up products as they can often add up to a large value. Business interruption compensation cover: If your business is your main stream of income, then having to shut for a couple of days could really affect you. To avoid this, business interruption compensation cover could provide peace of mind. Accidental failure of electric, water and gas cover: If your supply of electricity, water or gas is cut off, it could result in shutting your business, which in itself has financial implications. However, the further cost of having to fix the problem may prove to be extremely costly. By getting this cover you protect yourself against financial liability. Some insurers may charge for additional cover, however, taking out an insurance policy which covers you for a wide variety of eventualities will save you stress. And, if an incident does occur, you will save a lot of money. It is important that you read the policy wording and terms and conditions of your insurance so, should you need to claim on it, you know exactly what you are covered for.